Zip line tour from Split takes you on an adrenaline adventure in the nearby Cetina canyon. 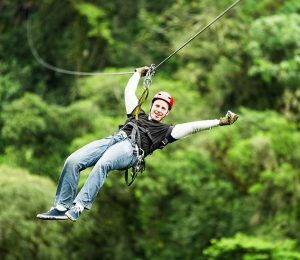 After initial zipline training you are taken on a two hour adventure on over 2 kilometers of ziplines. The view on the Cetina canyon from the zipline poligon is simply breathtaking and you will be amazed with some of the drop downs as well. Head out to nature for an adrenaline day you will not soon forget.